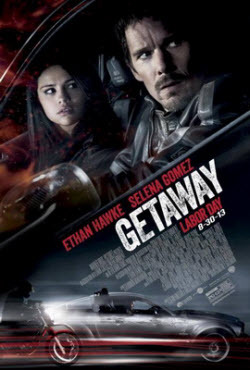 Getaway is an upcoming American action thriller film that is distributed by Warner Bros. The film was originally reported to be a remake of the 1972 film The Getaway mistakenly. In fact, the film is an original story. Ethan Hawke plays a former race car driver called Brent Magna, whose beautiful wife is kidnapped by a villain with a slightly dodgy accent (Jon Voight). The kidnapper says that he will only let Brent’s wife go if he agrees to steal a custom Shelby Cobra Mustang and drive it very fast from one location to another (the specifics of what he’s expected to do are currently a little vague). The plan becomes complicated when the car’s owner, a young computer hacker played by Selena Gomez, tries to take her car back and Brent is forced to drive off with her. The film is rated PG-13 (parental guidance is suggested in the case of children under the age of 13)for intense action, violence and mayhem throughout, some rude gestures, and language. There is no CGI in any of the car crash scenes. All the crashes in the movie are real. 130 cars were wrecked in the making of this movie. The production had it's own junkyard on set to store the wreckage. Seven Shelby's were made for the film. Many were wrecked multiple times and parts of some would be added to others to create a new car. In all, 13 versions of the Shelby were wrecked in the making of this film. Ethan Hawke attended a racing school to learn how to properly maneuver like a professional. On August 28, 2013, it was found that a few employees from Warner Brothers were attempting to maliciously alter the users' perception of the film on social media website Reddit. 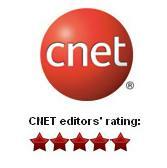 The employees' attempt involved vote-rigging posts featuring bogus reviews and spamming discussions in the comment section. The film will be released in the United States on August 30, 2013. The estimated DVD release Date is in Nov, 2013. The trailer of Getaway gives a rough outline of the basic plot, which seems to be a mix of elements from Taken and Drive. It seems a little too generic to be something to get excited for, unless you’re a big fan of all movies with fast cars. Early reviews for Getaway have been extremely negative. Most reviews have criticized the film for its thin plot structure, sloppy editing, and poor camera work. Will it do a good job in opening weekend? How to Copy Movie DVDs? Well if you have the Getaway DVD disc when it is released, you may want to copy the DVD to your hard drive or other devices. As we know, most of movie DVDs are protected and encrypted. How to do that? 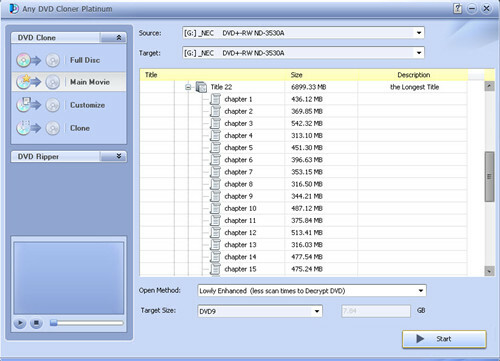 Here we will instruct you the way to copy movie DVDs with Any DVD Cloner Platinum. It takes 3 steps to clone Despicable Me 2 DVD to blank DVD disc with Any DVD Cloner Platinum. Step 1: Insert the source DVD into DVD burner and launch Any DVD Cloner Platinum, the powerful DVD cloner software can read the DVD automatcailly. Then Choose Open Method.